Alternative energy sources are foremost in the minds of those wishing to save money and tread lightly on the environment. Comparing the salient points of solar and electric energy will help you decide whether it is time to replace your power source. 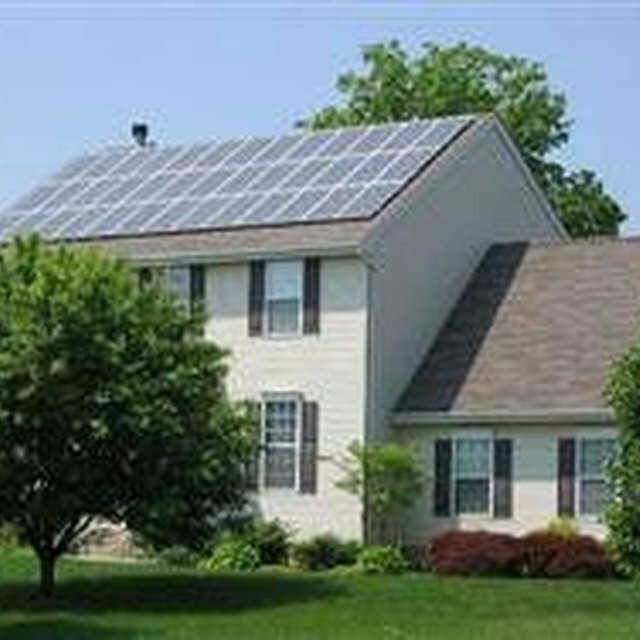 Both solar energy and electric systems provide power to the plug-in and hard-wired electric devices in your household. Both deliver AC current to your circuit box, which then distributes it to your home's wiring system. Electrical energy from a commercial power source is almost always readily available, except during unpredictable power outages. Solar energy is dependent on sunlight, but your system can collect it and store the energy in batteries for use during periods without sun. The more batteries you have, the more energy you can store, depending on available sunlight. While your home is probably already furnished with electricity, you pay for the power you use each month. You do not pay for solar energy, but do have to invest in the initial set up of a solar energy system, and for limited and inexpensive annual maintenance. For example, your monthly electric bill could be $250, while the cost to set up a moderate-sized household solar energy system could be $15,000. Your monthly electric savings could pay for setting up your solar energy system in as little as five years. Commercial power plants that produce domestic electricity can create environmental problems, which include coal plant emissions and endangerment to salmon populations with waterway dams. A household solar energy system produces no emissions or harmful environmental effects. According to the Commission for Economic Opportunity, every 40 minutes the United States receives more energy from sunlight than it burns in a year from fossil fuels.